I’ve talked about metaphors before here. But I just wanted to add a few thoughts. My thinking behind this is that when I working with tutors, I often want to describe what we do in terms of something else that I think they already understand. Since starting this work in 2007 the main metaphor that I’ve used is the “tools for your toolbox” approach. This metaphor works for trades because trades people use physical tools and they get it when I talk about teaching approaches, strategies, and activities as literacy and numeracy “tools” that go in their bigger “toolbox” of education and training tools. But we also talk about embedding literacy and numeracy in terms of weaving. This metaphor comes from the world of Maori education. I wish it was original to me but it’s totally not. I’ve heard it used by many different Maori educators in different contexts and I’ve started using it myself. It works really well. For one thing, it feels kind of organic. This is important, especially for educators who are looking for meaning outside of the more academically focused western intellectual model of mainstream education. Another thing about the weaving metaphor is that it allows people to think of their teaching and training as a kind of real object with these mixed threads woven through it. On the one hand there are the the threads relating to content and context. And on the other, there are another set of threads relating to literacy and numeracy. This thinking also underlies the Maori early childhood curriculum, Te Whariki which takes the woven flax mat as a metaphor. 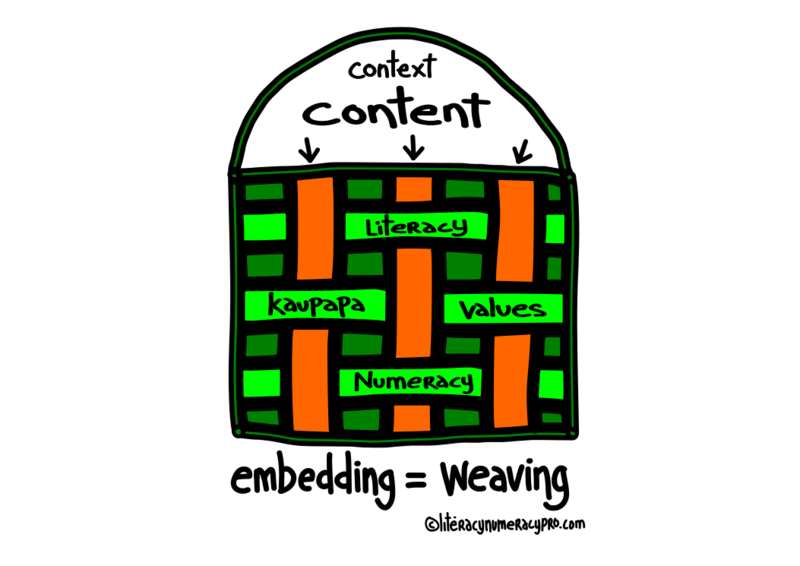 Finally, by thinking of the embedding process, educators can see how they are also weaving other things through their training – often in addition to the literacy and numeracy which should now be business as usual. And here I’m thinking specifically of the Kaupapa Maori value system that really drives Maori and other educators working in this space. For those new to this kind of thinking, if you see these values (wellbeing, contribution, belonging, language, exploration, for e.g.) as a further thread running though your training and interactions, you can do what we do with the literacy and numeracy. This is to make it explicit to your learners, have great conversations with them about it, and explicitly embed the value system. I’m not saying that learners can’t learn these values or thrive in this kind of environment when they are more implicit, but our foundations-focused learners really need these values and given the chance can learn them explicitly. Just like with literacy and numeracy. So there you go. 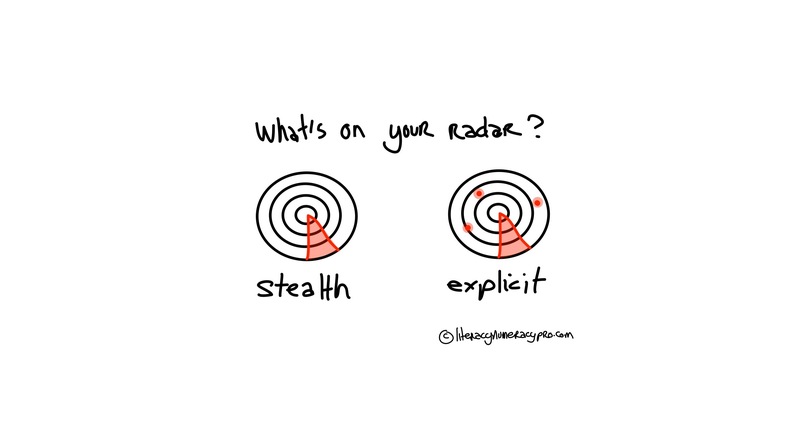 Get the value system out of stealth mode as well and onto the radar.